Place the vinegar, garlic, sugar, olive oil, salt and pepper in a bowl and whisk to combine. Cook the beans and sugar snap peas in a large saucepan of salted boiling water for 2 minutes or until tender. Drain and refresh under cold water. 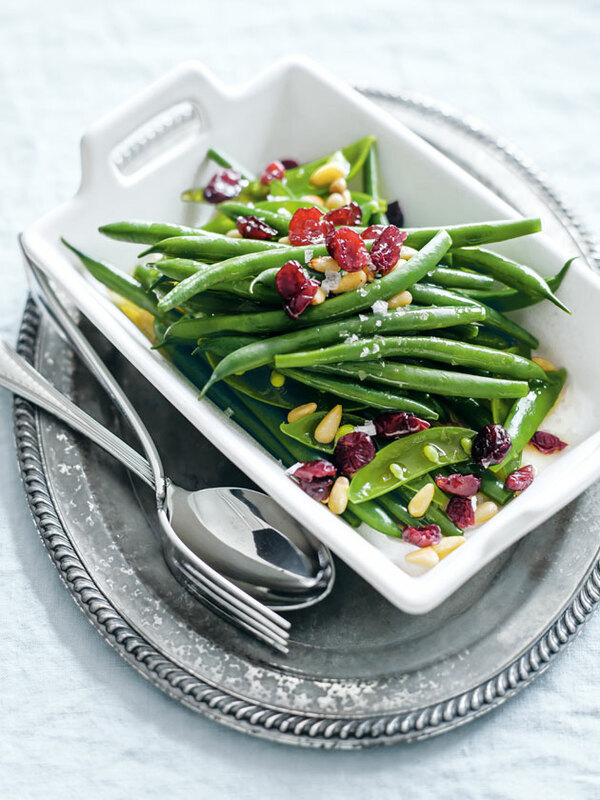 Place on a dish and sprinkle with the pine nuts and cranberries. Drizzle with the red wine vinegar dressing to serve. Serves 4–6.